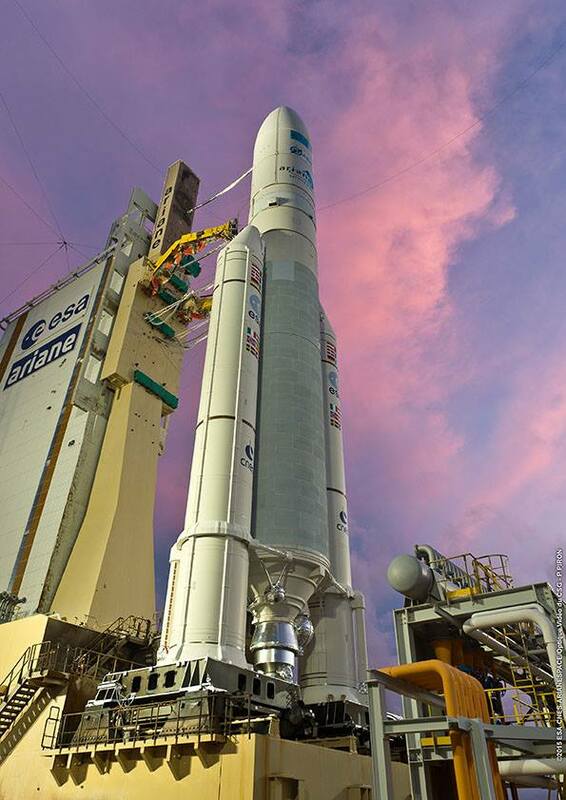 A colorful sunset Tuesday created a dramatic backdrop to Europe’s Ariane 5 rocket, poised on its launch pad at the edge of the Amazon jungle for its 82nd mission. 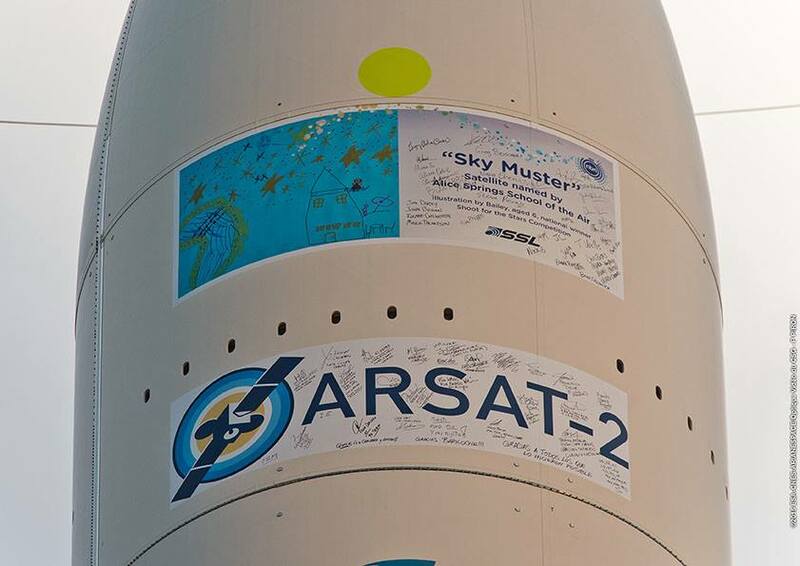 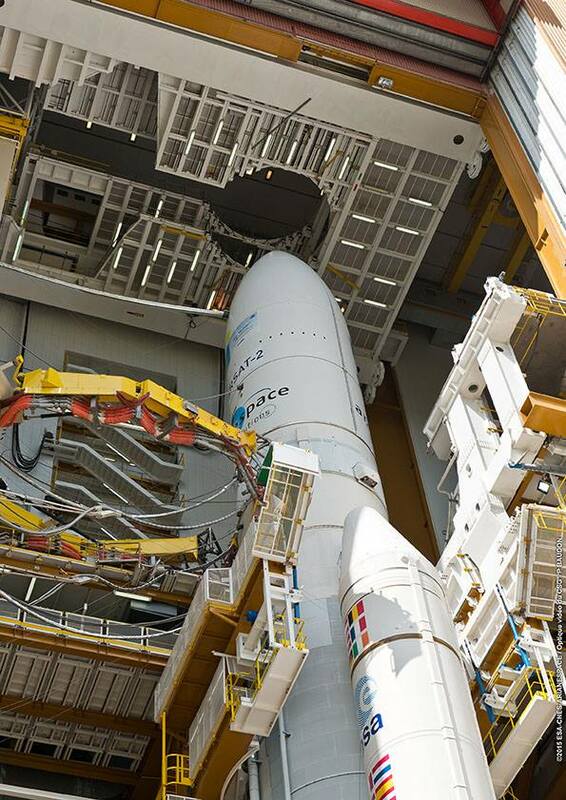 Flying for the fifth time this year, the expendable 18-story rocket will haul up the Sky Muster and Arsat 2 communications satellites for Australia and Argentina. 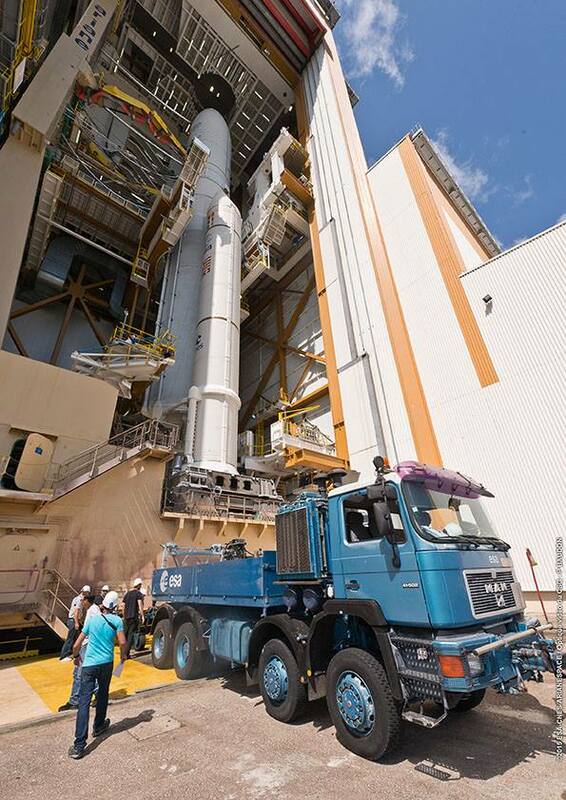 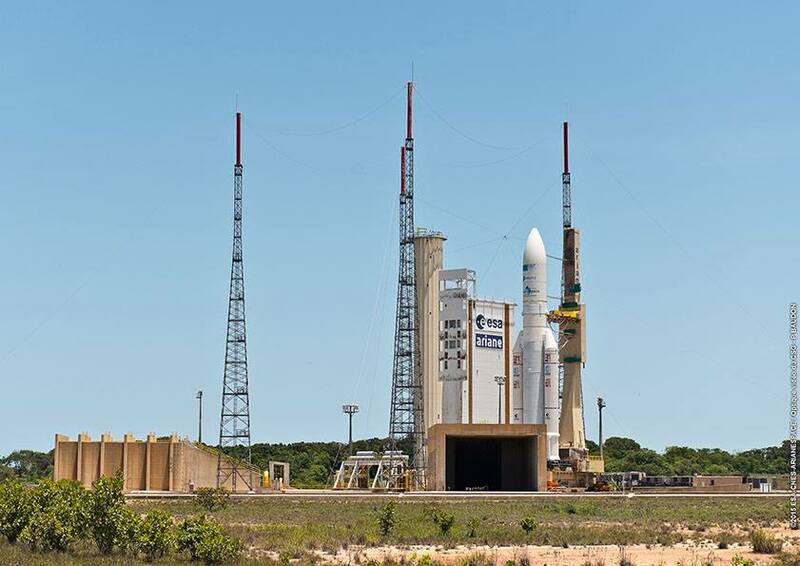 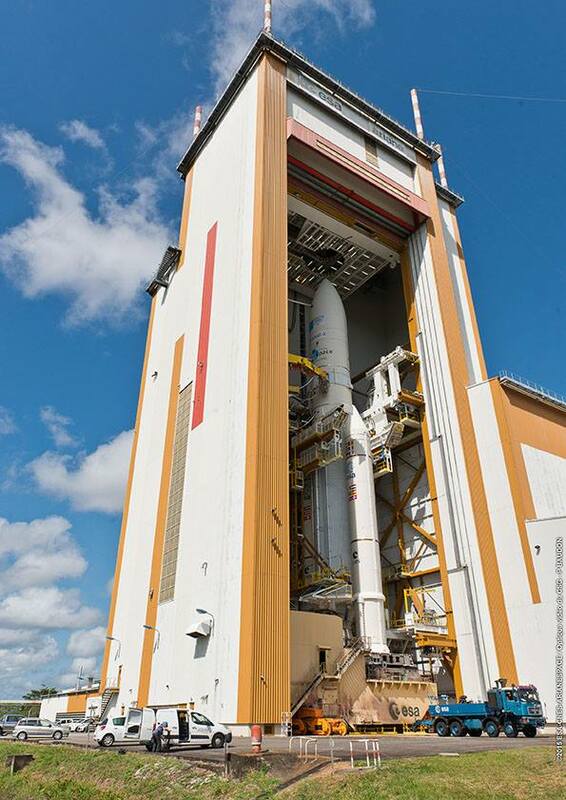 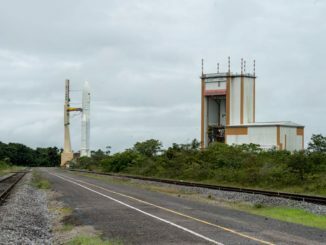 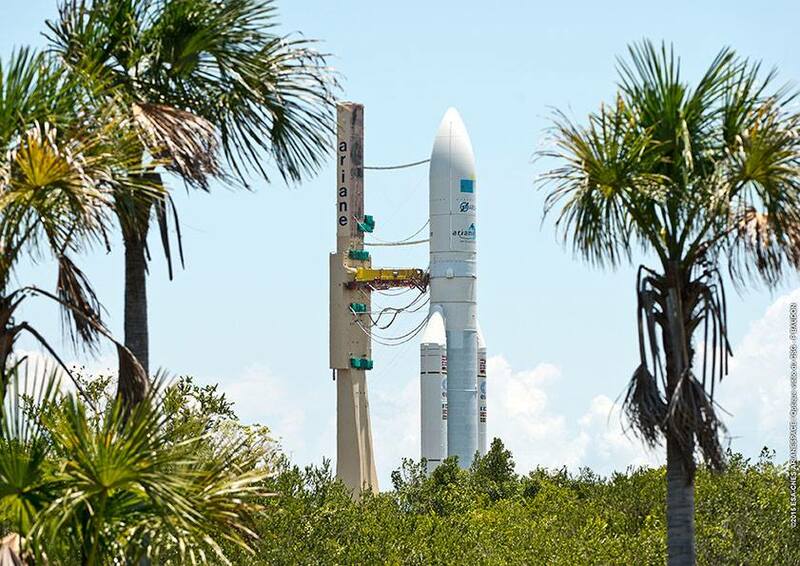 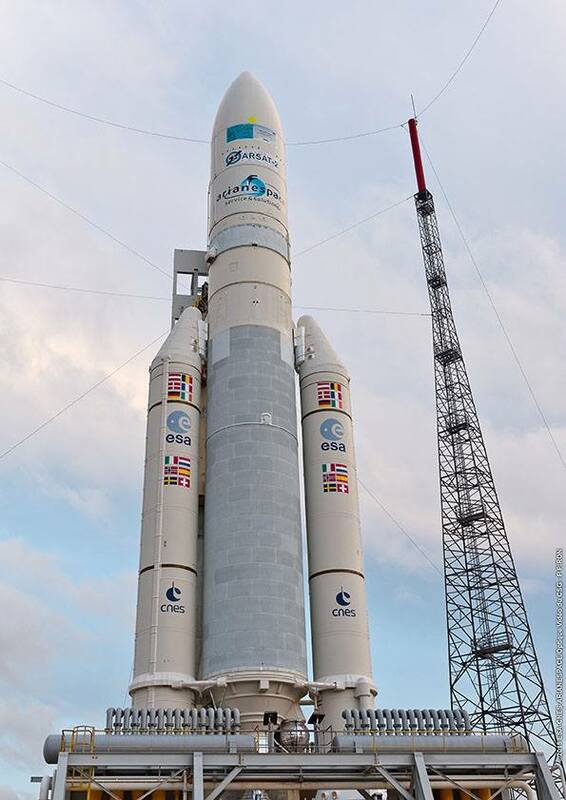 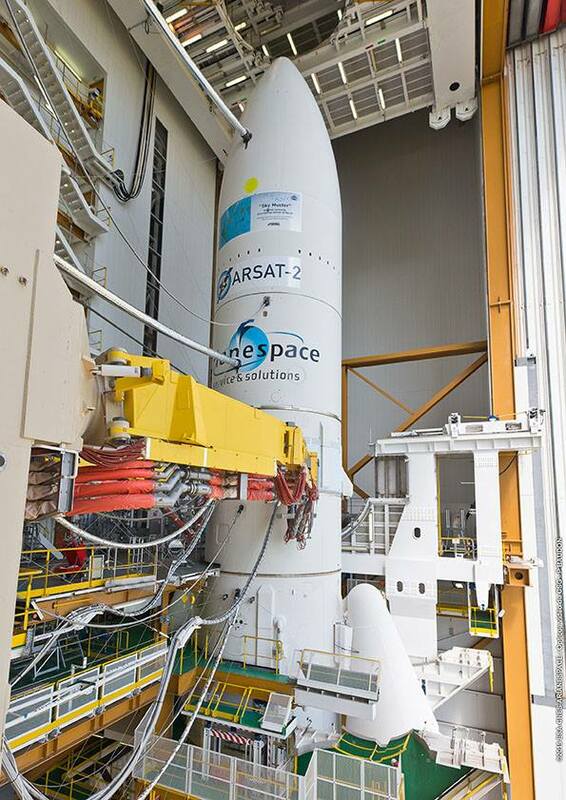 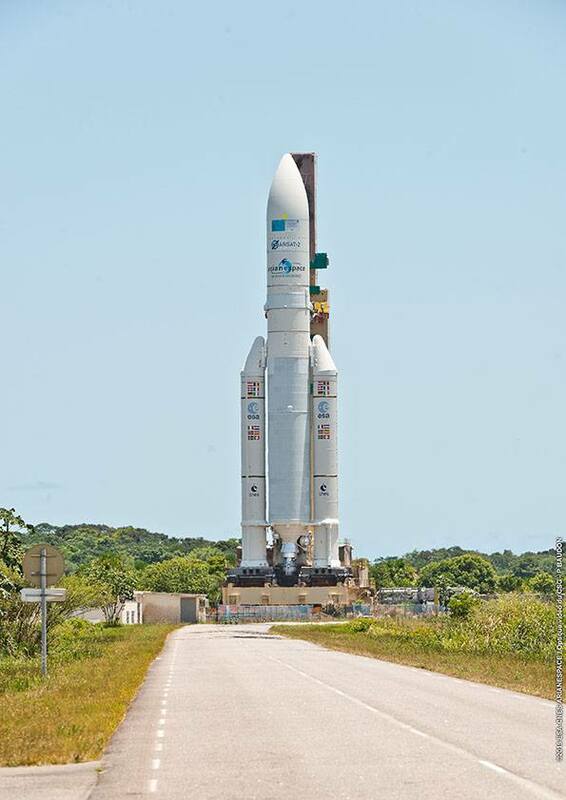 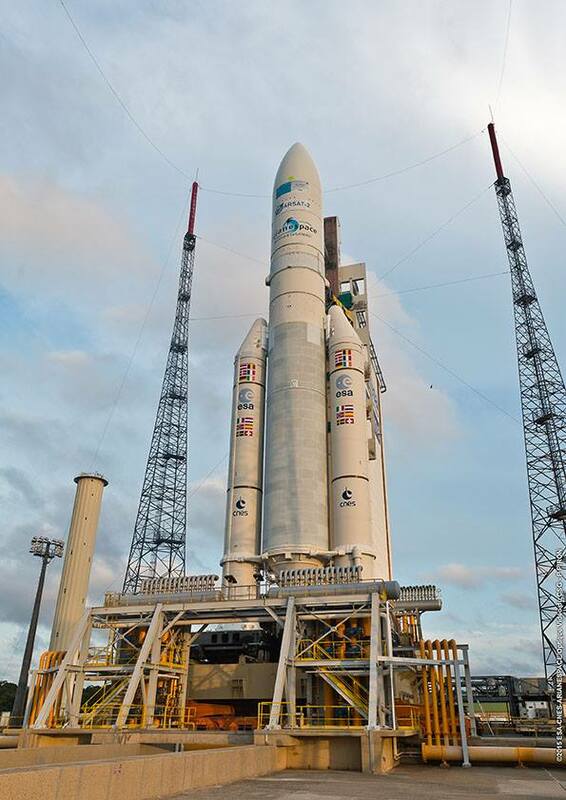 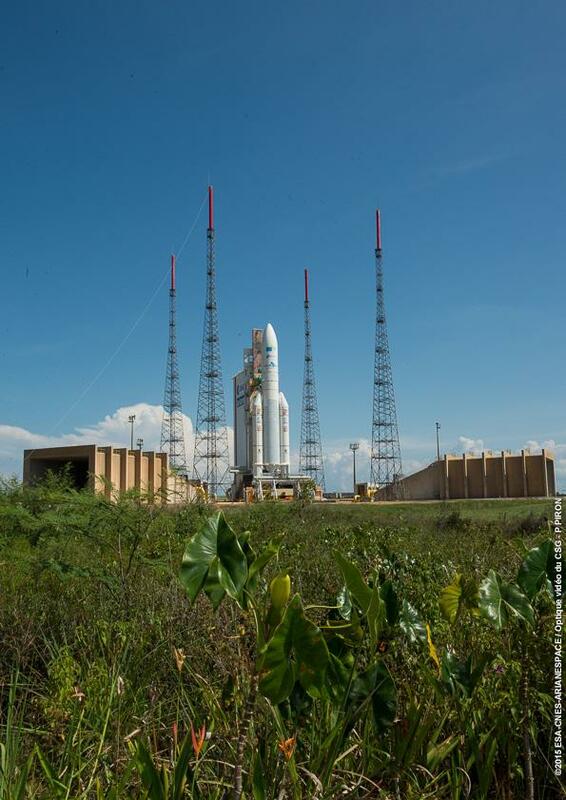 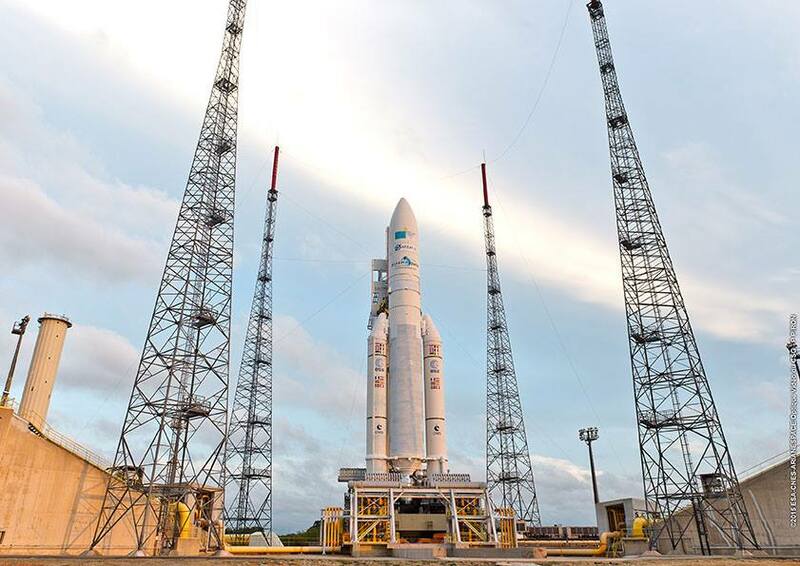 Arianespace says the total cargo load for Wednesday’s launch, which is set for 2030 GMT (4:30 p.m. EDT), amounts to more than 10.2 metric tons, or about 22,494 pounds. 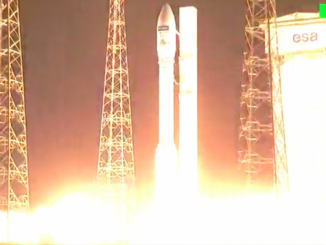 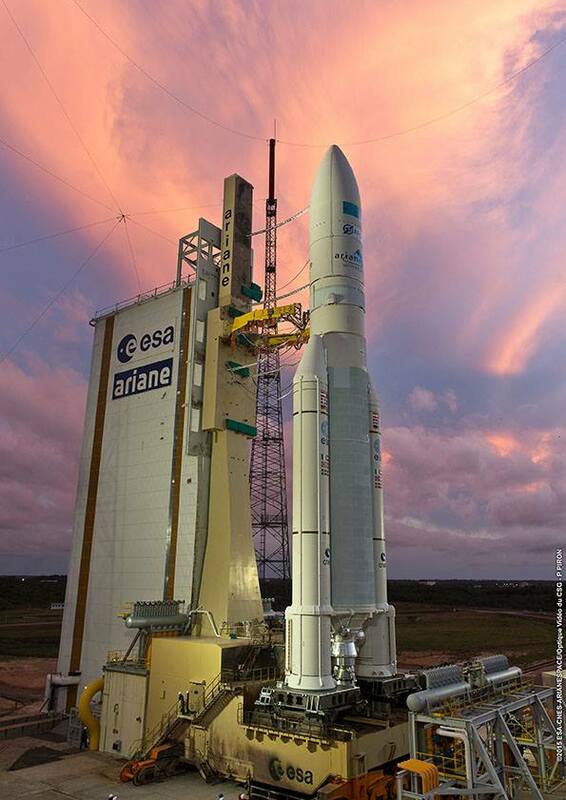 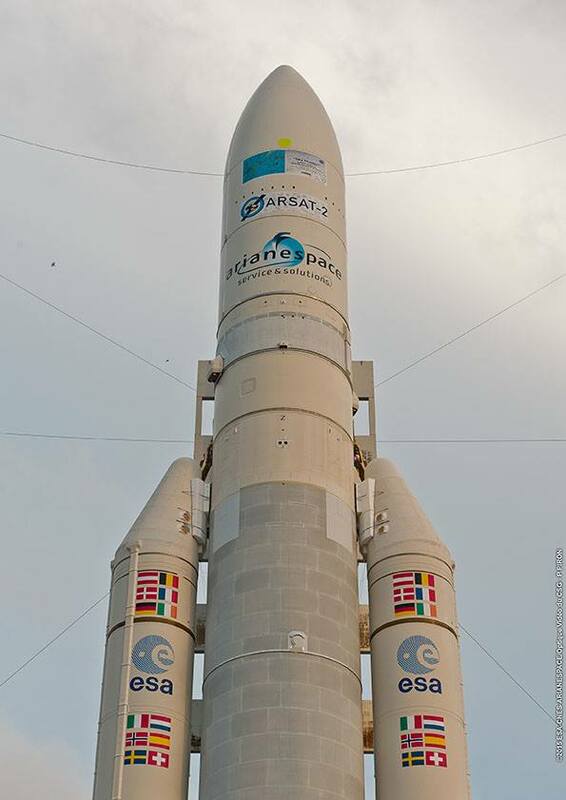 Burning a mixture of cryogenic liquid hydrogen and pre-packed solid fuel, the Ariane 5 will lift off from French Guiana and deliver the satellites to geostationary transfer orbit about a half-hour later. 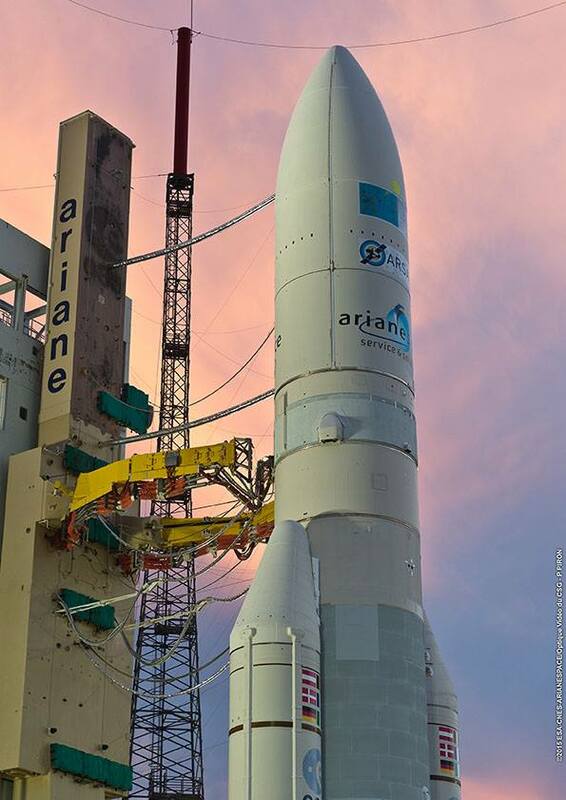 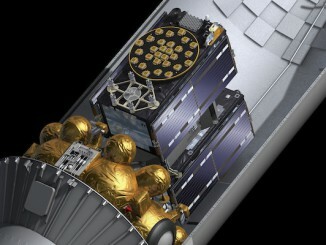 The photos below show rollout of the Ariane 5 rocket and views of the launcher at sunset Tuesday.